Dr. Kimberlynn Davis is a patent attorney at Kilpatrick Townsend & Stockton, LLP, and focuses her practice on prosecuting foreign and domestic patent applications in the chemical arts, due diligence and freedom to operate analysis, and client counseling and portfolio strategy for companies, universities, and research institutions. Kim rounds out her legal practice by devoting time and expertise to assisting families in adopting children and advocating for the educational rights of children in Georgia. Prior to entering the field of law, Kim obtained a PhD in organic chemistry. While attending graduate school, she designed and synthesized compounds for use in treating HIV-1 and cancer. Kim also served as an intern in the Emory University Office of Technology Transfer, where she assessed the marketability and patentability of ground breaking technologies. Kim has co-authored scientific and legal journal manuscripts and presented at several scientific and legal meetings. She is a recipient of Apex Society’s Power 30 Under 30™ Award, was recognized as a Superwoman of the Future by Atlanta Tribune Magazine, and has been profiled by Rolling Out Atlanta Magazine. During law school, Kim received the GSU College of Law Intellectual Property Scholarship and served as a graduate research assistant for the GSU Intellectual Property Advisory Board. 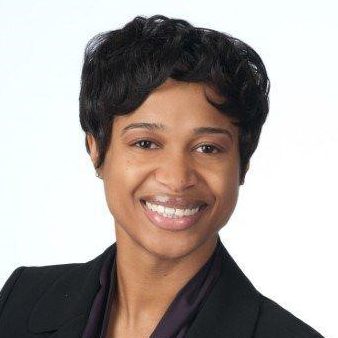 In addition to her roles on the National Board and Atlanta Local Advisory Board for Jumpstart, Kim has also been recognized as a Georgia "Rising Star" in the area of Intellectual Property by Super Lawyers magazine in 2018 and 2019.